Lady Firebird Angelo wants to live, and hates herself for it. Her culture has strict inheritance laws that require the death of surplus noble heirs, and Firebird, though born to the queen of Netaia, is expected to end her own life in a blaze of glory now that her older sister has delivered two healthy daughters. Firebird firmly believes her culture’s teachings that for her, suicide is the only way to spiritual redemption. When she is taken prisoner and prevented from fulfilling her “destiny”, the horrors of war force her to reconsider everything she has ever believed. Federate Colonel Brennan Caldwell leads a life of separated excellence. As one of the most powerful of the Sentinels, the telekinetic religious minority of Thyrica, he is respected by most but close to no one. As a worshiper of the Eternal Speaker, he has deep convictions about only marrying within his faith. For years, he has prayed for the Holy One to send him a woman who is capable of telepathically bonding with him, only to be met with silence. When a woman who can do this finally appears, she doesn’t believe in the Speaker, and she wants to die. Is this a test? One if the most interesting things about this novel is the world building. The small, dictatorial and ambitious Netaia proves a worthy match to the larger powerful and democratic congress of Federate worlds. There is an interesting galactic history component, and most interesting of all…this is an alternate universe, making it science fantasy rather than science fiction. I have seen plenty of fantastical Christian allegories, but very few in the science fiction or science fantasy realm. 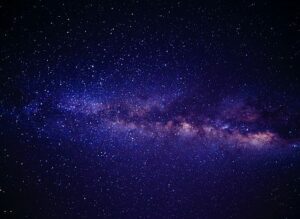 There is an interesting galactic history component, and most interesting of all…this is an alternate universe, making it science fantasy rather than science fiction. One of the things that surprised me was that even though I generally dislike romance in my science fiction (and make no mistake, romance is a major if not the major plot thread in this book), I still found this book very enjoyable. There was possibly a little too much discussion of world building, and there were some other small complaints I noticed (but I won’t tell you what they are because they would be spoilers). If you like Christian fiction, and you liked Bujold’s Shards of Honor, I think you will love this book. There are compelling characters, an interesting plot, and a new subculture to explore! Heat: There are two brief enthusiastic kisses. Romance is a prominent part of the book, and the characters are often thinking of each other. The author is careful to focus these thoughts on mutual respect and non-physical admiration. Much of the plot revolves around how plot events affect the main characters’ perceptions of each other. Violence: There are some scenes of individual space ships blowing up and killing named characters in the book, and the threat of death to countless unnamed people, but there are no gratuitous and/or blood and gore scenes. Age recommendation: 16 and up, due to the romantic content. Disclaimer: I met this author at a conference and paid her to edit 10 pages of my novel. Cost Today: $2.99 on Kindle. $13.38 in paperback. Series information: first in a series. This well known author has an assortment of other novels including two Star Wars novels and her latest science fiction offering, Shivering World.